Diesel technology, long a mainstay in the European light-duty vehicle market, is coming to North America as manufacturers work to meet new standards for high mileage, low-emission vehicles. A diesel version of the Chevy Cruze – boasting the highest EPA-rated mileage for a non-hybrid vehicle at 46 mpg – begins appearing in select U.S. cities this month. It will be GM’s first diesel offering in the U.S. in more than two decades. Later this year, Chrysler will begin production of the Dodge Ram 1500 with a diesel option. It will be the first light-duty pick-up truck (weighing in a half-ton or less) for sale in the U.S. equipped with diesel – and could be the first in its class to break 30 mpg. The Chevy Cruze is assembled at GM’s Lordstown, Ohio plant, with an engine sourced from Germany. Most Dodge Ram 1500s will be made in Warren, Michigan, with some production sourced from Chrysler’s Saltillo, Mexico facility. In the last two years, according to data compiled by R.L. Polk for the Diesel Technology Forum, registrations for diesel passenger vehicles have increased by 24 percent. Hybrid registrations jumped by 33 percent during the same period, while overall vehicle registrations were up by only 2.7 percent. An increasing share of vehicle buyers, in other words, are choosing more fuel-efficient options when purchasing new cars and trucks. Will diesels reach double digits? Diesels still represent just three percent of the overall U.S. passenger vehicle market. Schaeffer expects that number to double before long and perhaps reach 10 percent by 2020. That would still leave the U.S. far behind Europe, where some 55% of vehicles sold are equipped with a diesel engine. A primary reason is a policy choice made by European governments to lower taxes on diesel fuels in order to improve overall fuel efficiency and reduce greenhouse gas emissions. 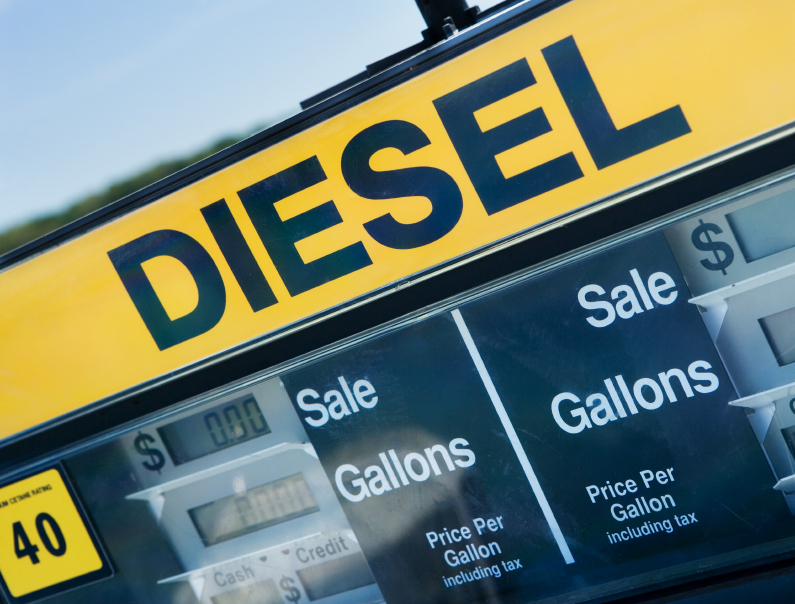 In the U.S., for example, diesel fuel is typically 20 cents per gallon more than regular gas and about the same price as high-octane premium fuel. In Europe, where gas costs more than twice as much in the U.S., diesel is often the equivalent of a dollar less per gallon than premium gasoline. Diesel engines are one of several fuel-saving technologies to migrate to the U.S. from Europe, where fuel economy and emission regulations have been more stringent –and the price of fuel is much higher than what we pay in the U.S. A gallon of premium gas, in U.S. dollars, currently costs $6.52 in France, $6.79 in Germany and $8.13 in the United Kingdom. As a result, millions of vehicles in Europe come equipped with fuel-sipping equipment – like turbocharged engines, start-stop technology, and electronic power steering – which are now being introduced in the U.S. to help meet tougher fuel economy regulations. Roger Kerson is a Michigan-based media consultant for labor, environmental and non-profit organizations.